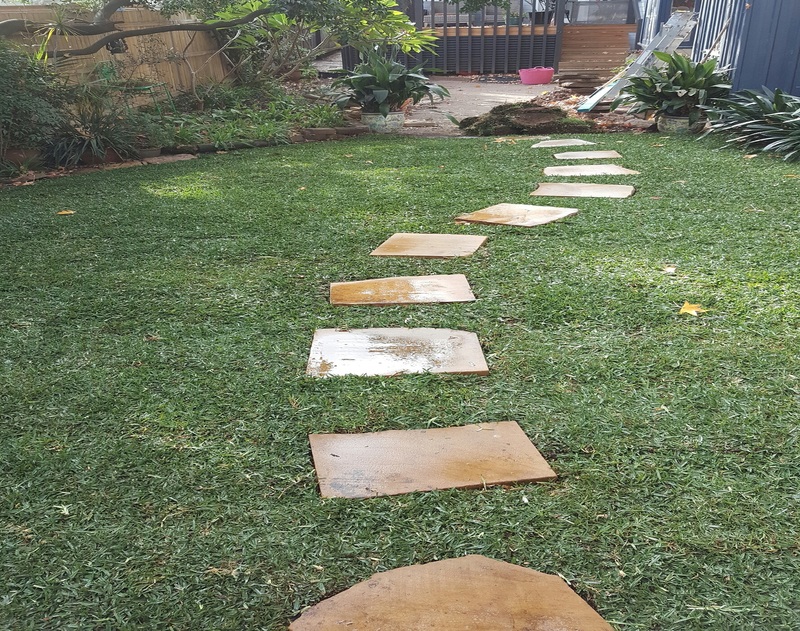 Turf preparation and soil improvement before any planting takes place ensures that it will be easier for grass roots to establish and penetrate deep and evenly. Deep roots will make the lawn more drought resistant, and a more efficient water and nutrient user. Install any underground drainage that may be required. Rid the site of weeds and grasses by spraying with Glyphosate (Roundup/ Zero) a minimum of ten (10) days prior to laying the turf. This step may need to be repeated if weeds and grass continue to germinate after this period. Rough Grade the entire area to minimize drainage problems on the property. This includes sloping the ground away from building foundations and eliminating or reducing severe slopes and low lying areas. Any further debris unearthed should be removed. Initial tilling to a depth of at least 5 - 10 cm. This should be completed prior to adding any turf underlay or soil amendments. This will alleviate compaction, permit a bonding of the turf underlay to the sub soil and improve root penetration as well as air exchange and water movement. Lightly rake surface after weeds have died. Test the soil pH to determine if any correcting materials are required. Add any correcting soil amendments necessary. Apply Windsor Turf "Starter fertiliser" or equivalent N: P: K (7: 5.25: 5) and rake into turf underlay. Smooth and level the site with a rake maintaining the rough grading contours and slopes established earlier. Optional: Roll the area with a lawn roller one third full of water to firm and settle the surface. Low spots revealed by this step should be filled to match the surrounding grade surface. If time permits allow the area to settle further by applying irrigation water. With the soil improvement and lawn preparation complete, the site is now ready for turfing.